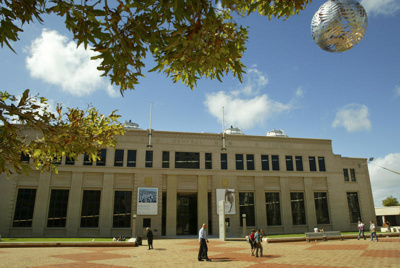 City Gallery Wellington is a contemporary public art gallery housed in an iconic building in Civic Square. This dynamic Gallery presents innovative exhibitions of art, architecture and design. It showcases local Wellington artists and significant New Zealand artists alongside major international figures in a diverse range of exciting exhibitions. There is also a lively calendar of free public programmes and events.